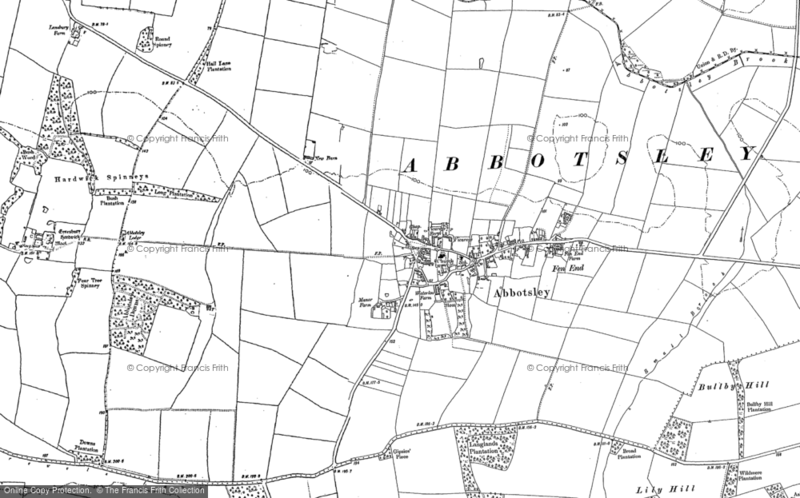 How I Found Abbotsley - a Memory of Abbotsley. My Dad, a countryman born and bred, went to London in the late 1920's for work - since there was a huge depression in his type of country work (farm labourer). He met my Mum, and I was born in Thornton Heath, Surrey, in 1930. On December 21st 1934, we moved to the gorgeous little Huntingdonshire village of Abbotsley - I adored it from day one. We lived at No 7 New Row (now some unimaginative 'High Street' address. I went to Abbotsley school from September 1935. I should not have started until after Christmas but I was so eager to go to school with my new found friends, that Mum went to see the headmistress, Miss Everett, and got me in early. I left in December 1944. I used to attend church for Sunday school with Miss Everett's disabled sister, as teacher, and I sang in the choir at other services. I thoroughly enjoyed my church-going when we had a vicar called Bromley Birkbeck Walker. He was an ex-army chaplain and one of the nicest people I have ever met. I still occasionally meet old school pals and we still talk of those great mid-twentieth century days. In 1937, my three year old sister Eleanor, died of diphtheria and in 1943, my ten year old brother, died a spastic. They are both buried in the village churchyard, and I still attend their graves and the monument, twice a year. The ashes of my Mum and Dad are also buried there. I still very often go to Abbotsley, wherein my heart is firmly entrenched, for a pint (or four) in the 'Eight Bells'. A memory shared by Alan Cross on Jul 2nd, 2012. Send Alan Cross a message. Add a memory of Abbotsley.